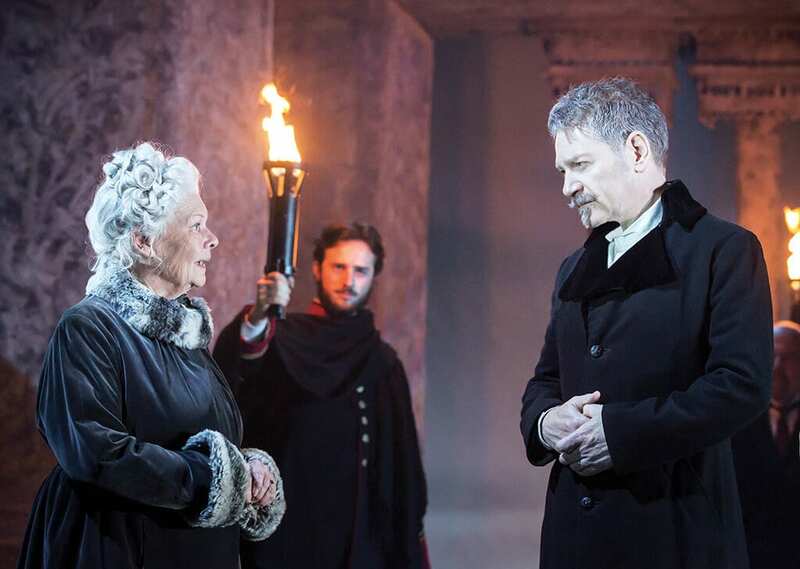 I attended the live broadcast of The Winter’s Tale performed by the Kenneth Branagh Company on 26 November at a cinema near me, in this case in Oxford. I will be able to compare notes on my reactions to the production with friends all over the world in a few days. The cinema was packed, creating a sense of shared experience and of an exciting occasion. From the evidence of the ceiling shot of the audience at the Garrick in London there was not an empty seat (though an amazing number of mobile phones still glowing as the lights went down). I found the experience of seeing a live show, as it was happening, from the stage different from being there in person but no less gripping. 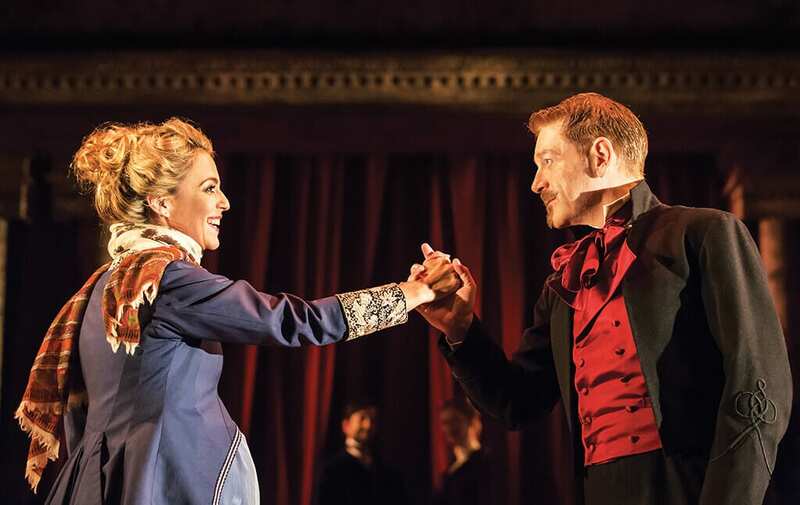 The production by Branagh and his co-director, Rob Ashford, is one of the most intelligent and moving of this play that I have ever been privileged to see and one that achieves the depth and complexity that the play requires to be convincing. I could quibble a little. I have seen the sequence in Bohemia done more hilariously; I have seen the opening party sequence done more memorably. But I believe you have to take the given and that that kind of comparison is invidious and pointless. In its own terms, this entire production works just fine and some of the readings of various segments are simply breathtakingly illuminating. The aspects of the play that some people have found problematic simply disappear. You accept the magic of the story. Unlike the actor managers of old, this production did not seem to me to be simply a showcase for the Star. 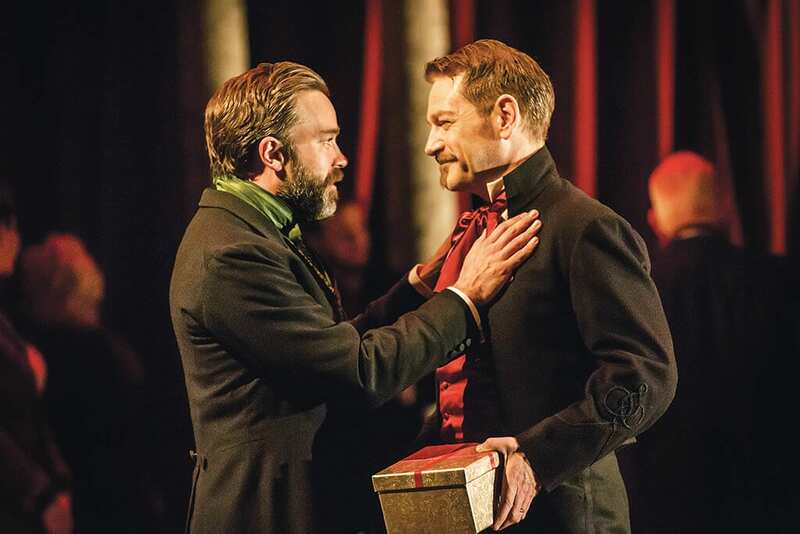 Kenneth Branagh is very, very good as Leontes. He becomes breathtakingly crazy in the early parts of the play, awkward, obsessive, self-destructive, scary at times. In the second half there is convincing, brooding, contemplative calm after the storm. His Hermione, Miranda Ralston, is simply lovely and the trial scene is superbly handled. Polixenes, played by Hadley Fraser, is immensely attractive; he makes the jealousy of Leontes all the more plausible with his charm and manner, suggesting a certain flirtatiousness also that does not make Leontes’ jealousy entirely crazy; and yet Fraser is also plausibly the authoritarian monarch who will not countenance his son’s love for a pleasant girl. 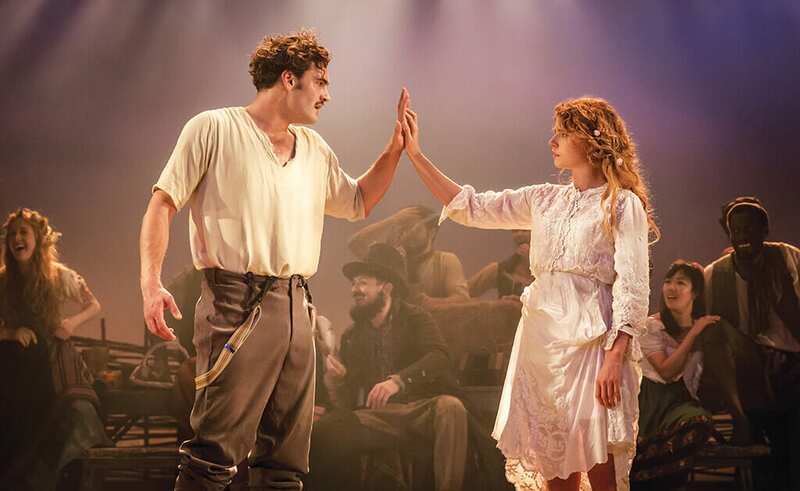 I could go on through the entire cast: Jessie Buckley, John Dagleish, Michael Pennington, Tom Bateman and all. Even the small roles of ladies-in-waiting and local peasant girls doubled by some of the cast are completely convincing and of a piece with the thrust of this interpretation.This is real ensemble work. 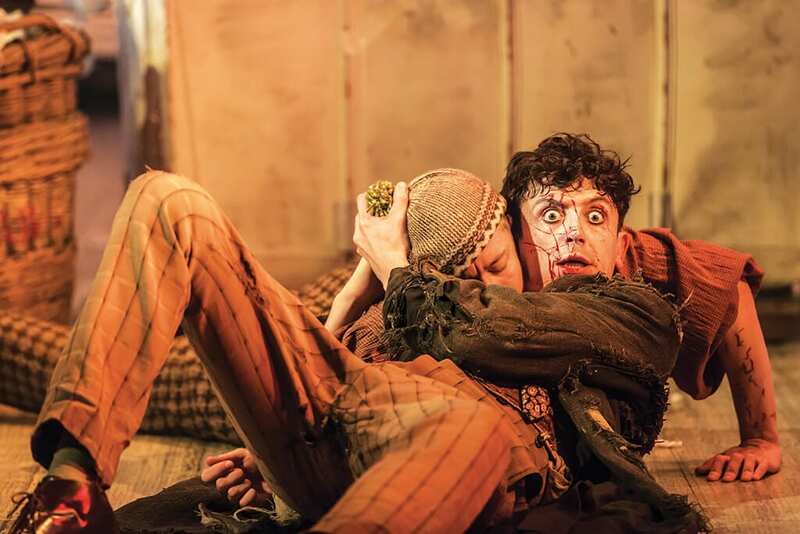 The production emphasises the darker aspects of the play and the poignant ending that is part of Shakespeare’s own version of Jacobean Magical Realism; and I, who pride myself at never crying in the theatre, found myself with tears rolling down my cheeks in the last twenty minutes or so. The aspects of reconciliation and dawning understanding as well as Paulina’s role in preserving the life of Hermione because of the optimism of her belief in the oracle are strong and ring true. Because, abov all, and without overbalancing the production in any way, there is the interpretation of Judi Dench of the role of Paulina. She is a magus. She is a female Prospero. She has wisdom and guts. With an ease and authority that are breathtaking, she centres the play on its moral issues of faith, betrayal, loyalty and sexual jealousy. Her characterization displays the depth and courage and wisdom of this woman. It is no wonder that despite his ranting, Leontes in his most tyrannical mode still cannot bring himself to imprison or execute this woman. She is the conscience of the king; and the saving of him; and she helps make the fairy tale or ballad-like elements of the story believable. She also enables on to suspend disbelief at the end and accept that in this production reconciliation is possible despite the murderous consequences of the early part of the story. Coming out of the cinema I found myself remembering and mentally comparing earlier versions of this play that I have great affection for with what I had just experienced: one with Laurence Harvey as Leontes and the famous RSC production by Adrian Noble among them. How lovely it would be if I could have had my family and my friends see these; how wonderful it would be if everyone could see these and make up their own minds about how to rate them. Now luckily the new technologies mean that in years to come when my grandchildren are grown and remember Grandpa raving about this production of The Winter’s Tale, they will probably be able to find the production preserved somewhere (or downloadable from Netflix?) and see for themselves. 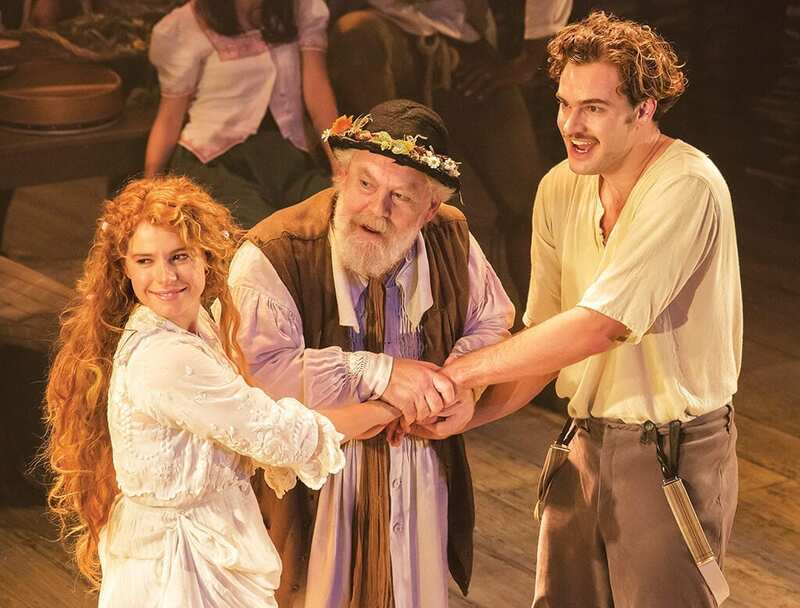 Now the compelling and moving performances of this team of actors will be preserved – including the sets and costumes and make-up and lighting; and all the elements that may in time look dated or of their time but will be all the more interesting for that reason. And you can see the reactions of the characters in close-up and the sweat on their brows! I know that it is not quite the same as attending the performance live in the theatre. But the sense of its being a live show, that there is an audience present, and that this is a special occasion, are certainly conveyed. 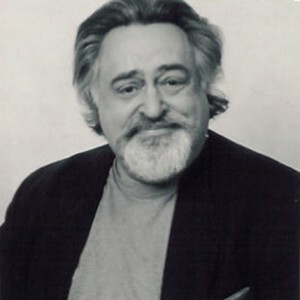 I have performances that were filmed on Broadway in the 1980s and love returning to them. For me the enjoyment of this Winter’s Tale was enhanced by knowing that it will not now disappear into the ether and only be remembered one day by inadequate word of mouth. So get on down to the cinema and support these broadcasts to encourage more of them. But also get to this particular one when it is repeated if you can because it is an excellent, thoughtful, emotionally sincere production that does good service to the play and also preserves some wonderful performances, among them the illuminating Paulina of Judi Dench and the compelling performances of Kenneth Branagh, Miranda Ralston, Hadley Fraser and the others. Winter’s Tale played at 520 cinemas in the UK, 1300 worldwide, and took in £1.1 million at the UK box office alone.